He was very patient with me because my teeth are very sensitive. And I didn't feel anything at all. Shout outfor his great staff as well! He was very patient with me because my teeth are very sensitive. And I didn't feel anything at all. Shout out for his great staff as well! Very prompt, which is important when I'm squeezing appointments in between meetings! Dr. Ilyabayev is very knowledgeable. Igor Ilyabayev is an accomplished and engaging general and cosmetic dentist based in Valley Stream, NY. 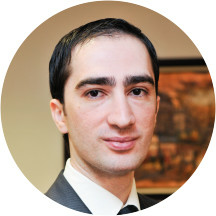 Dr. Ilyabayev attended New York University, where he specialized in general and cosmetic dentistry. He completed his residency program at the Icahn School of Medicine at Mount Sinai. Dr. Ilyabayev is unrelenting in his efforts to stay relevant for his patients. He regularly takes continuing education courses and attends seminars to keep abreast of advancements in general dentistry. He is also specially trained in dental implantology, which allows him to provide his patients with cutting-edge reconstructive and cosmetic implant prosthetics. Dr. Ilyabayev is a member of the American Dental Association and the Dental Society of the State of New York. His expansive medical experience includes procedures such as root canals, tooth extractions, dental fillings, teeth whitening, and gum surgery. Dr. Ilyabayev is fluent in English and Russian. Probably the best dentist I've ever been to. My smile is now worth a million dollar! Thanks to my dentist Dr. Igor! Thank for professional staff and job! Very prompt, which is important when I'm squeezing appointments in between my meetings! Fantastic! I was seen within minutes. Igor listened to my concerns and was extremely professional. He was very gently when completing a clean and would highly recommend him. I did not feel any warmth or friendliness from this doctor. He only highlighted the negative aspects, even as a first time patient. My wife recommended him. This is my second visit. Very good dr and staff. Dr Ilya is great— his office is super efficient. I was a new patient so had to have xrays taken and fill out paperwork, but was still in and out of there in 40 minutes. Cleaning and check up were seamless and Dr. Ilya is very friendly! Dr. Igor Ilyabayev was respectful and professional. He went above and beyond at the appt to ensure that I make the most of my expiring FSA funds including giving me a filling that same day. Dr. Ilyabayev's office is very well-run! The assistant was ready to see me almost immediately after I filled out my paperwork. Dr. Ilyabayev himself was very professional and has very modern equipment that allowed me to easily see what's goingon inside my mouth. I was expecting my visit to take over an hour, but I was in and out in 45 minutes! Dr. Ilyabayev is a wonderful dentist. He was polite, patient, and extremely knowledgeable. He really took his time to answer my questions and explain everything. I was very nervous and maybe not the most still patient- ha- and he could nothave been nicer about it! I am so impressed! Plus, everyone else in the office I interacted with was wonderful! Fast, clean and excellent service. Very informative and professional! Would definitely recommend. I absolutely hate going to the dentist and when I moved to New York it took me forever to stop dragging my feet and find one in my area. I can't remember how I found Dr. Ilyabaye but he's SO great;really gentle and nonjudgmental and the staff at the practice are friendly and warm and getting a cleaning is no longer a terrifying endeavour. That's high praise from me, really. Dr. Igor was great!! This was my first visit and I was seen right away. Office staff was accommodating and very nice. We definitely be back for my next dentist visit. Dr. Igor is the best! Made me feel comfortable and procedure was quick. Would definitely recommend him. I would like to sing Dr. Ilyabayev's praises again. I have been his patient for a couple of years now, and have written a review about him in the past. A year ago, I moved to Boston but I always comeback to New York and visit his practice. Could I not find another dentist there? Well, not as qualified or as professional as him. I would recommend everyone to go visit him! I would like to say thank you again to Dr. Ilyabayev, and wish him all the joy and prosperity in the upcoming New Year. Fantastic experience!! Had an appointment at 11:30, saw me immediately and I was out the door by noon. Highly recommended! Dr. Igor answered all of my questions and addressed all of my concerns. I will definitely be returning. Always nice to see Dr Ilyabaev. He is so pleasant and very patient. Staff was very friendly and helpful. The office was very accommodating in regards to making sure that I was comfortable. I went for a cleaning and Dr. Igor was very professional and handled my teeth with care. I barely felt my fill-in procedure and he talked me through what he was doing while doing it. He also has a TV on the ceiling so you have something to watch while he's working on you. Highly recommend. very happy that i found this dentist. he and his staff are all very professional. I have recommended him to a few people already. Dr. Ilyabayev is transparent about the work he's doing and his recommendations, which I appreciate. He's always patient & gentle. I wont be switching dentists anytime soon. I haven't been to a dentist in 15 years after I had a traumatic experience with a tooth extraction. I recently was having issues with a tooth and needed a dentist, so I did a Web search and I am soglad that I found Dr Igor Llyabayev. He made me feel comfortable from the minute we met. He is courteous, knowledge and very professional. He took the time to explain in details what my problem was and what can be done to fix it. I was also very impressed with everyone at the office, they are all friendly. The office is super clean, which is a plus. What can I say...great staff...fantastic care. Highly recommend . You will not regret one minute of your visit to this office. Great job Dr Igor!!! I am thankful for everything . All members of the staff were kind, and professional. I got great results on my whitening procedure. The x-ray process was a tad uncomfortable but they did find a tiny cavity, so that's good. I am very satisfied with the care and will go back. Experience was excellent. I have not been to a dentist in over 8 years and my dental insurance just switch over from 1199 to Emblem Health. Both issues were put to ease by Dr. Igor and his staff. I had abroken tooth that had to be extracted. After a few x-rays, Doc came in and said it would be no problem with the extraction and did a dental cleaning as well. The extraction was pain free and all services were covered. Awesome experience, will definitely be back to discuss further work that need to be done. Thank you Doc and your Staff! He was kind and highly educated. I went to him for a second opinion. I highly recommend him as a dentist. Very nice dentist and staff. I was happy with my visit.